Mummu had the pleasure of creating this TV spot for credit providers Aqua. For those of us young enough to remember the much-loved children’s TV shows of the 70’s and 80’s, it should ring a few sentimental bells. With stop motion classics such as Bagpuss and Captain Scarlett in mind, we set out to create an underwater world that would offer nostalgia and childlike wonder. Something that would reassure viewers whilst communicating Aqua’s key message. 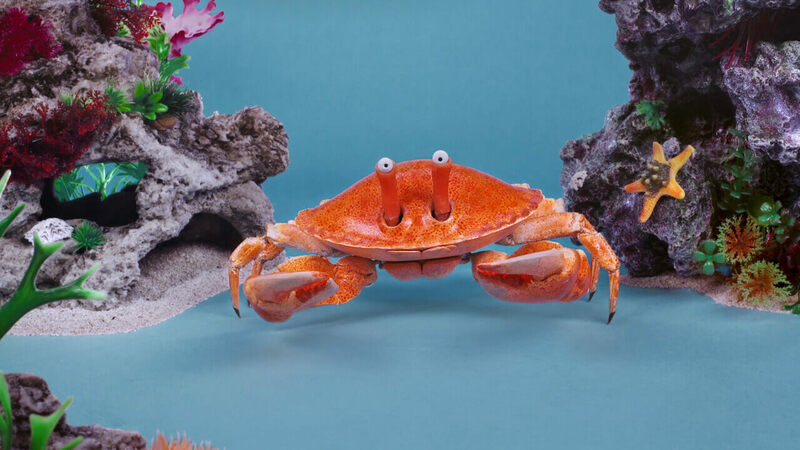 Working with the creative agency Rock Hound, Mummu focused on the characterisation of each character; whether it be through the exaggerated proportions of the life sized crab or the clip clop animation of the smallest clam. With each shot beautifully dressed, we were able to create a charming, hand crafted TVC which conveyed the underwater world without the use of CG or effects.